Thick and Thin was created as a family project by the husband and wife team of Barbara Larose (artistic director) and Rick Jones (writer/composer) for the production of new Canadian theatre works. Life in the Raw marks their first attempt at co-writing a show. Previous productions include Wild Moose Chase(Alumnae Theatre) and critically acclaimed (NNNN) Millennium Madness Sale!, which appeared in the 1999 Toronto Fringe Theatre Festival. 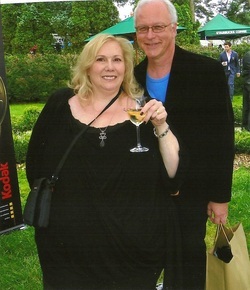 Barbara and Rick have also worked together as director/writer, director/actor, or director/sound designer on numerous projects for the Alumnae Theatre Company in Toronto, proving that the family that plays together, stays together.